Now to let them sit for a while-its so hard to leave them be! 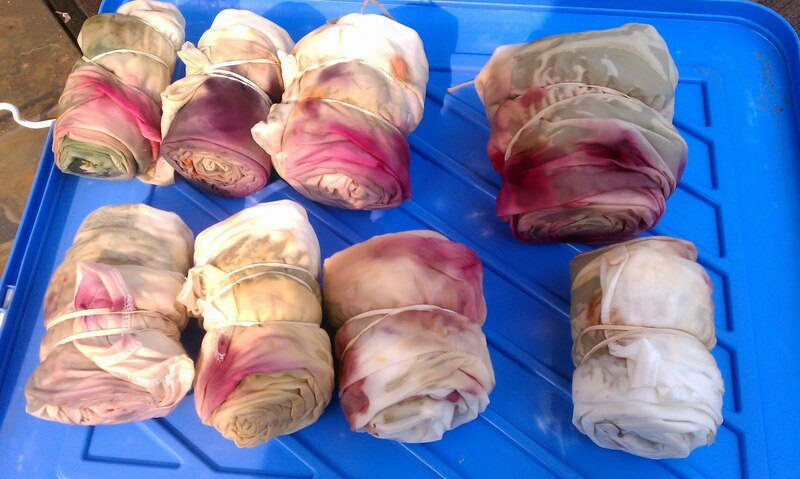 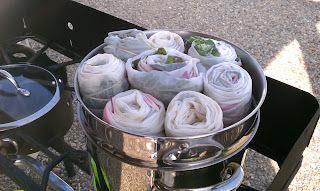 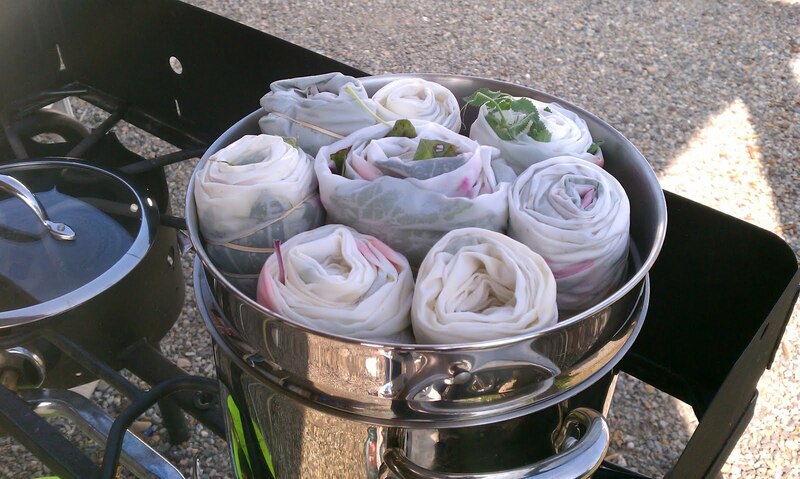 All bundled up ready to be steamed. Then they will sit around a while, at least until dry. After that I will open them and see what happened! 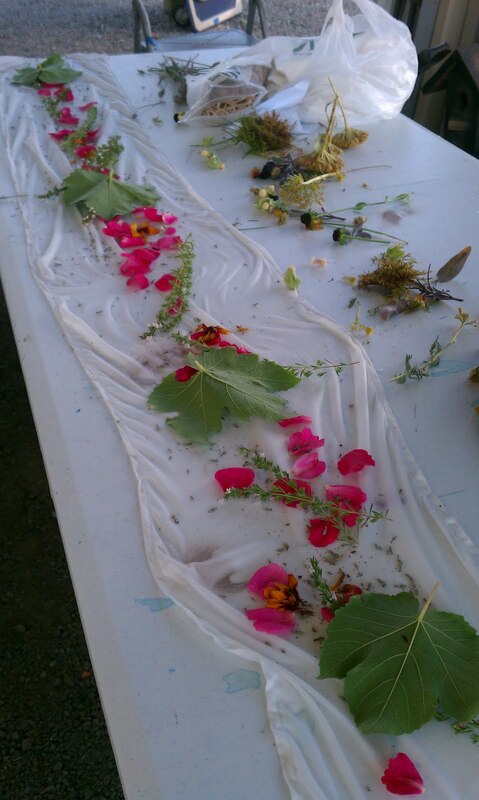 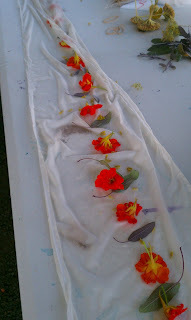 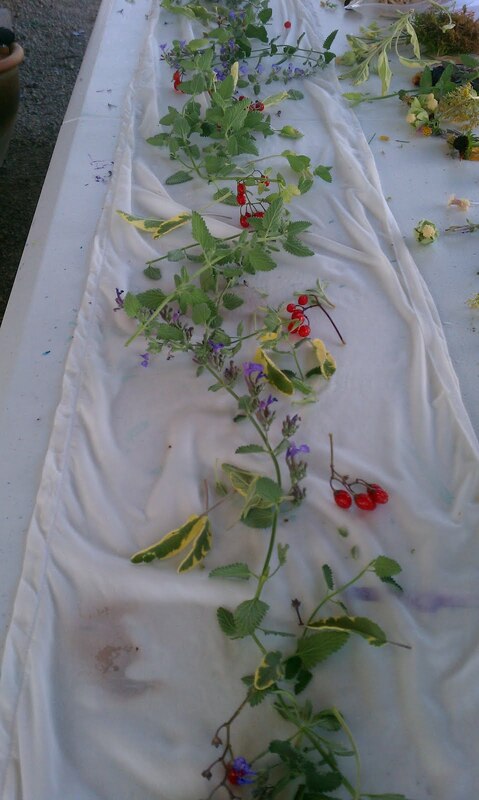 Steam printing with nasturtiums, sage and yarrow.